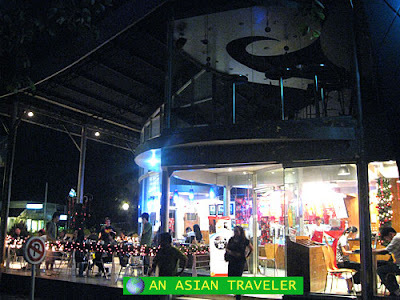 Another thing I notice about Davao is the many quaint coffee shops sprouted up on every street corner. Visitors can easily grab a quick cup of coffee or sit down for a nice little chat. 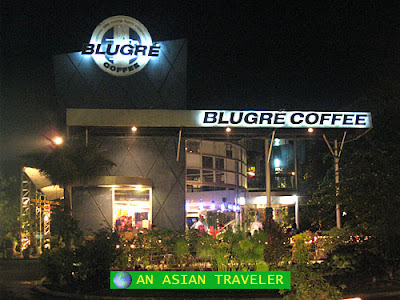 We were lucky enough to come upon a local café named Blugre Coffee located at Matina Town Square. It's a two-floor shop but the mezzanine I think is for private functions. 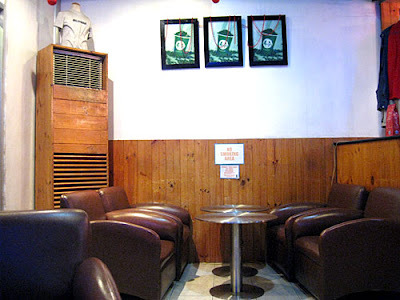 It's a very nice cozy place and the interior is well decorated. The food was decent and good, but we made sure to try the unrivaled real excitement here - the king of coffees known as "Durian Gatchpuccino". It's their original signature hot drink made of cappuccino style with real bits of durian topped with whipped cream. My verdict: It was a surprisingly good combination of coffee and durian with no pungent smell. Plus I could really feel and chew the sweet tiny bits of durian. There's also an ice blended coffee version of Durian gatchpuccino, which is Durian Larcepuccino. We also tried the Durian Cheesecake. At first, I thought I won't be able to finish the dessert since I'm not really a fan of this fruit (as I mentioned in my previous post). But the Durian Cheesecake turned out to be amazingly delicious and it had a creamy melt in your mouth feeling. 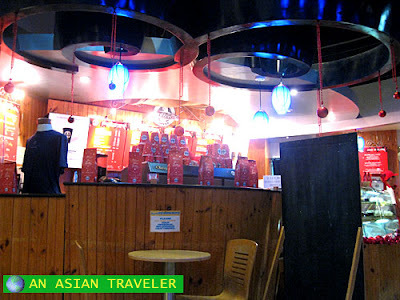 The shop also serves a variety of coffee concoctions and drinks like espressos, larcepuccinos and non-coffee alternatives. I also noticed they have Blugre merchandise for sale such as t-shirts, caps and mugs. 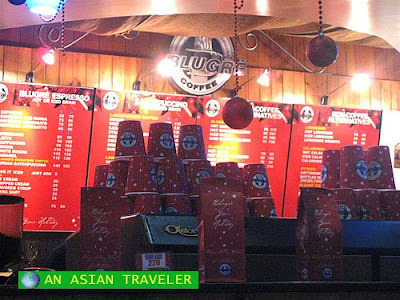 Even though there are countless coffee shops in the neighborhood, Blugre Coffee is one in particular that you won't like to miss it while you're in Davao City. This coffee shop really churns out good tasting cuppas. Wow, this Blugre Coffee shop looks so cozy. 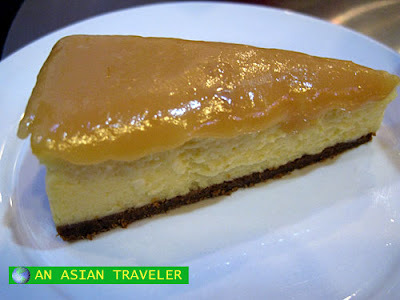 Adding a durian taste on cheese cake makes it more enticing. Hubby is on frequent official trip to Davao. Will ask him to drop by this coffee shop on his next trip. Thanks for this info. Now gimme that durian cheesecake! i like to try the durian coffee. i do eat durian and i look forward to that when i visit davao this year. Thanks for visiting! 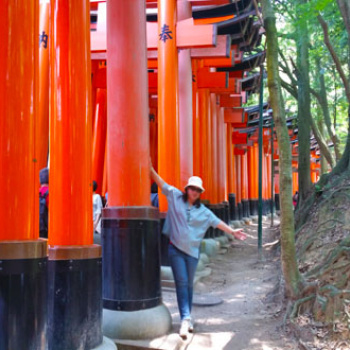 I added your pretty informative blog to my blogroll. I love both durian and cappuccino but WOW adding both of them together is the first I heard of it... Must do some experiment lol Cheers!